The public meeting is in Hartford, on March 13, 2019, between 1:30 PM and 3:00 PM, at CTDEEP Office, 79 Elm Street, Hartford, CT (Gina McCarthy Auditorium). 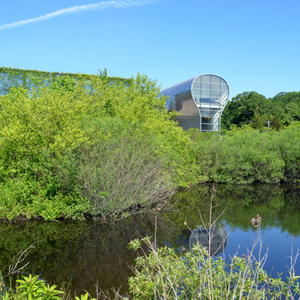 The Connecticut Department of Energy and Environmental Protection (DEEP) is conducting its triennial review of Connecticut’s Water Quality Standards to determine if revisions are necessary. Connecticut Water Quality Standards effect every town, including Milford. A very informative description can be found here. DEEP is requesting the public’s input regarding the current standards, and recommendations on what to focus on, as part of the 2019 review. The agency will use public feedback to help identify future changes to the standards. "The Connecticut Water Quality Standards form the foundation of Connecticut's water management programs," said DEEP Commissioner Katie Dykes. "It is critical that we update the standards to remain consistent with state and federal law in order to reflect the best available science." The topics under consideration for change within the WQS are identified below. Additional topics may be identified during this Triennial Review process and included in subsequent proposed changes to the WQS. The regulatory process to revise the WQS also includes a formal public review and comment process. Since the WQS were last revised, EPA has updated recommendations for water quality criteria. The Department is currently reviewing the water quality recommendations from EPA and will either propose adoption of the federally recommended criteria or provide a reason for not doing so in accordance with section 304(a) of the federal Clean Water Act. These include updates to federal water quality criteria recommendations for toxics, bacteria and ammonia. Information about the current federal recommendations for water quality criteria can be found on the EPA web site at: https://www.epa.gov/wqc. The 7Q10 flow is currently identified as the low flow condition in freshwater rivers and streams. The Department intends to recommend changing the low flow statistic for fresh waters from the 7Q10 flow to the Q99 flow. The Q99 flow represents the daily low flow rate that is expected to occur approximately 1% of the time. For daily stream flows, the Q99 flow is roughly equivalent to the 7Q10. The benefit of using the Q99 flow is that information on Q99 flows for waterbodies in Connecticut is easily accessible through the USGS StreamStats web site for all locations, not just those served by gaging stations. The USGS StreamStats web site for Connecticut is available at: https://water.usgs.gov/osw/streamstats/connecticut.html. The current Water Quality Standards contain requirements for disinfection of treated sewage discharge to surface waters at section 22a-426-4(a)(9)(E) of the regulations. This section requires continuous disinfection for all sewage treatment plants located south of Interstate Highway I-95. Disinfection is currently required for all sewage treatment plants north of Interstate Highway I-95 from May 1 to October 1, unless an alternative schedule, including continuous disinfection, is approved to protect those using the waterbody. Based on public comments which identified contact recreational activities within Connecticut that occur outside the current disinfection period, the Department intends to propose an extension of the disinfection period for all sewage treatment plants located north of Highway I-95 to include the period from April 1 through November 1, unless an alternative schedule, including continuous disinfection, is approved to protect those using the waterbody. Recent revisions to federal regulations pertaining to Water Quality Standards (40 CFR 131.3(m) and 131.10(g)) have included a new term, Highest Attainable Use. The Highest Attainable Use is evaluated during a study of how a waterbody is used and pertains to identifying the highest use level for a waterbody should environmental conditions permanently preclude certain uses of that resource. The Department is reviewing the recently revised federal regulations and anticipates proposing language to ensure consistency with these federal requirements. Water quality in a particular section of a waterbody may be affected by activities in the upstream watershed which contribute pollutants to the waterbody that are then transported downstream, affecting water quality in that downstream portion of the waterbody. The Clean Water Act requires consideration of these impacts on downstream waters when addressing water quality concerns. The Department believes that this concept is currently included within the WQS but is reviewing federal recommendations and may propose changes to the regulations for clarification, as needed. The Department is evaluating the need to make changes in order to reconcile the water quality classification designation with shellfishing classification for specific water quality segments, as needed. Additionally, the Department expects to update ground water classification designations for consistency with Aquifer Protection Areas.